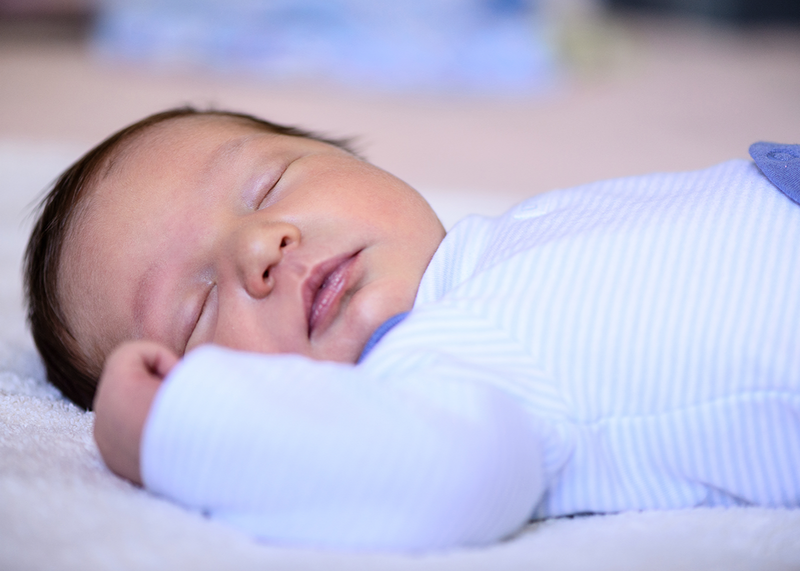 The AAP's new advice on SIDS prevention makes parents' lives easier. While a separate and close-by arrangement is ideal, the authors of the report acknowledge that infants need to eat in the middle of the night, and the person feeding the child is likely to be suffering from sleep deprivation. Therefore, the infant’s caretakers can’t necessarily be counted on to not pass out at some point during the feeding process, leaving the infant to sleep wherever the feeding took place. For the many tired new parents out there, the AAP has a few suggestions: Never feed the infant on a sofa or armchair. Instead, bring the baby into your bed, which you have stripped of pillows, loose sheets, or blankets. * This will not only make it less likely for the child to suffocate or overheat, but also—and this is my addition—make the parent far less comfortable and therefore less inclined to drift off to sleep. I also see this as an opportunity for the feeder’s partner (usually a mammary-gland-less man) to take more responsibility post-feedings. They could set an alarm for 30 minutes, or however long feedings take, after that initial cry and make sure mother and child are where they should be when the bell rings. Other recommendations in the report, many of which are not new, include a ban on anything else in the crib, bassinet, or playpen, besides the child and a firm mattress. This means no bumpers, stuffed animals, pillows, or blankets. Children should always sleep supine, or on their backs. This makes them more likely to arouse, which, while not ideal for their zombie-eyed parents, “is an important protective physiologic response to stressors during sleep.” Once an infant can roll over to her stomach, she can be allowed to stay that way, though her parents should still put her to sleep on her back. Pacifier use can substantially reduce the risk of SIDS, ranging from 50 percent to 90 percent, and should be offered at naptime and bedtime. Lastly, children shouldn’t be left to sleep in car seats, bouncers, swings, strollers, or slings. The report takes a firm stance against a lot of the baby safety items being sold to parents. Among the products they determine as either unsafe, unnecessary, or unproven are: anti-SIDS mattresses, bedside sleepers that are attached to the side of the parents’ bed, devices that are supposed to make bed-sharing safe, and home cardiorespiratory monitors. While the report’s sole interest is in creating safer sleep environments for infants, it could, and should, have a secondary effect of getting parents to stop buying a lot of unnecessary crap. What we learn from this summary of studies written up by experts is that we need relatively little for children up until the age of 1, beyond a simple place to sleep in the corner of our bedroom. This means that not only are we investing a lot of unnecessary money, and a lot of unnecessary time, into those Pinterest-inspired nurseries stocked with all the latest “baby safety” technology, but that doing so could actually be hazardous to our babies’ health. Instead of spending on a lavishly decorated, state-of-the-art nursery, parents would be better off squirreling away that money for childcare. * Correction, Oct. 24, 2016: Because of an editing error, the conditions in which a baby can be fed in bed were originally presented in an imprecise fashion: The bed should be stripped of loose sheets, but fitted sheets are fine. The photograph at the top of the post was also replaced to show an approved sleeping position.